Happy Manicure Wednesday - I'm late this week posting my nails, but I promise it is for a very good reason! 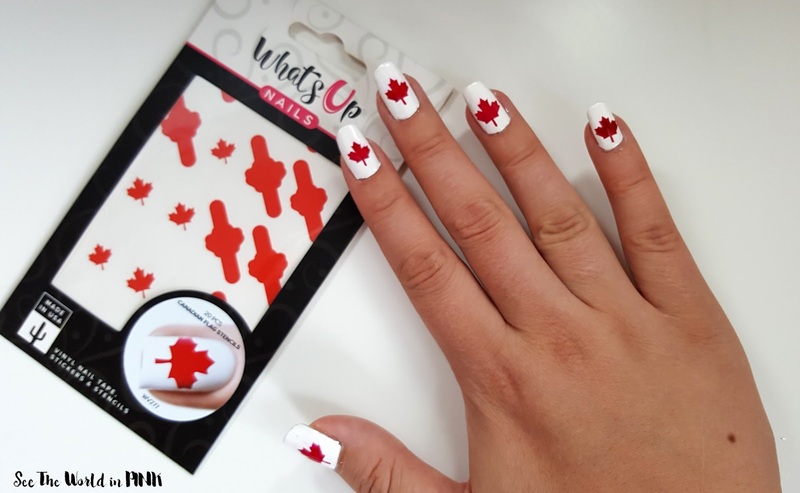 I have teamed up with Nail Polish Canada and What's Up Nails to get ready for Canada Day with their Canadian Flag Nail Vinyls! 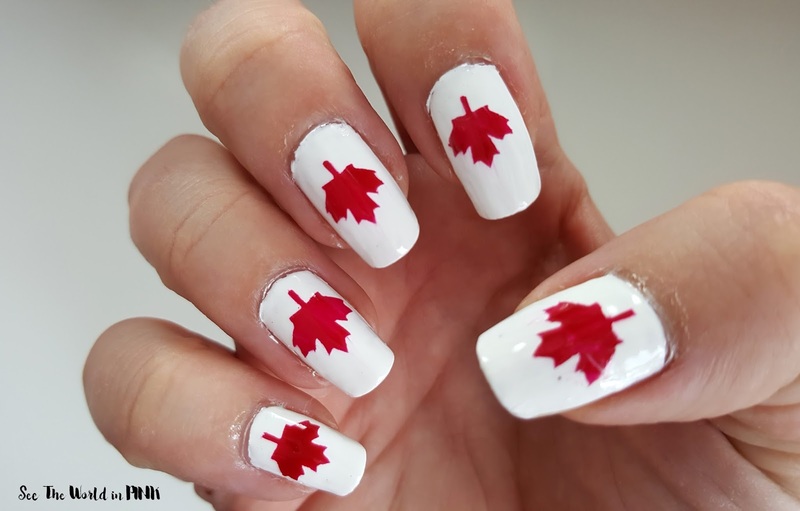 Bonus, there is a code at the end of this post for the first 10 people to get a set of these Canada Day Nail Vinyls for free - shipping included! Thanks to to Nail Polish Canada and Whats Up Nails! It's Canada's big 150th Birthday this year so you NEED to have some patriotic nails for the occasion! 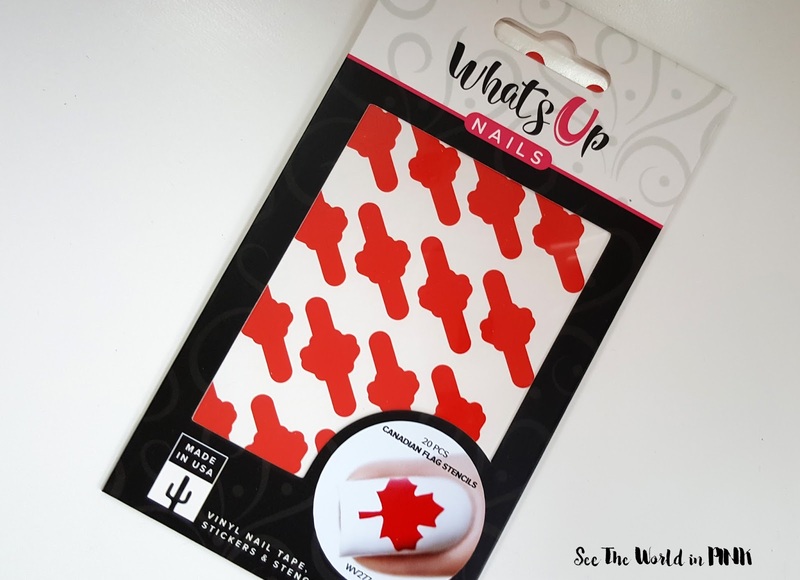 These Whats Up Canada Day Nail Vinyls are usually $5.65 and come with 20 vinyls so you can get at least 2 manis out of 1 package! The vinyls are really easy to use and they come with great instructions on the back, so newbies don't need to be intimidated with using these! To get this mani, I started with a nail cleanser and base coat. I followed up with 2 coats of white nail polish (I used Sally Hansen in White On). Now the secret to making these work well is letting the base polish dry really well - I let mine dry for at least an hour (you can use a quick dry top coat if you don't have this much time!) Then I applied the nail vinyl, painted red polish (I used The Face Shop in Red) in the middle, and peeled the vinyl off before the red polish has a chance to dry! Then let the polish dry very well and finish with your favorite top coat! I love how easy these nail vinyls are to use and they look amazing!! These will be delivered to you in time for Canada Day! If my code doesn't work, there is quite a few bloggers with codes, and their posts will be added to the link when they are posted! Thank you! Just ordered my free pack. Yay! So glad you got a set! OMG how cute are these !!! Specially for Canada 150 ! !